Grand Rapids, MI — Switch was proud to be the lead sponsor for the FIRST Robotics Competition in Kentwood, Michigan that kicked off on March 30th, 2017; an event that combines the excitement of sport with the rigors of science and technology. 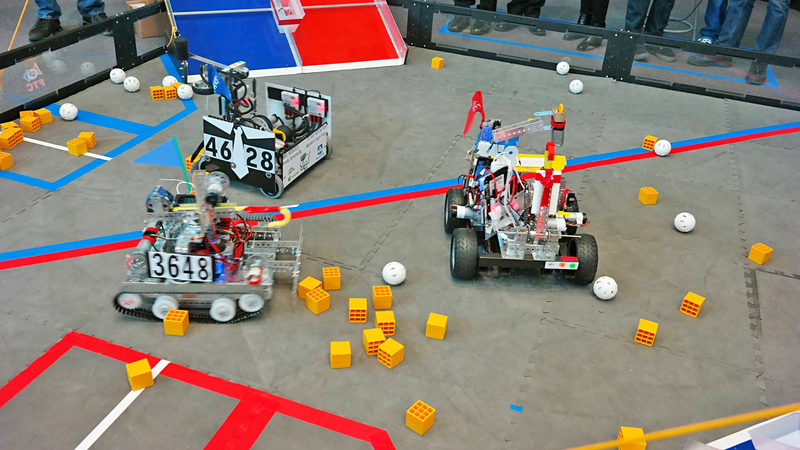 More than 40 teams from around the region competed at East Kentwood High School for the finale of a six-week event showcasing robots designed and built by the teams. Students were exposed to possible careers in the fields of science, technology, engineering, art and mathematics (STEAM). Events like the FIRST® Robotics competition spark the creativity and innovation in the minds of students allowing them the ability to become the next great ‘inventrepreneur’ like Rob Roy, Steve Jobs or Elon Musk. Switch Director of Government and Public Affairs in Michigan, Natalie Stewart led the kick off of the event during the opening ceremonies.